The National Democratic Congress says it has received with shock and disgust, the cries by the Patriotic Front not to have its Consultant Chishimba Kambwili represent the party at the forth coming National Dialogue meeting. Party National Youth Chairman Charles Kabwita has reminded the PF that NDC has chosen 3 people to represent them at the Dialogue who are Mr. Kambwili, Vice President and the Secretary General. Mr. Kabwita said the NDC does not need any permission from the PF on who should represent them and why. “If they have a problem with any of our representatives that is their problem and not ours. We shall NOT change the representatives; neither are we going to entertain their noise over this issue”, said Mr. Kabwita adding that whoever they will choose does not also affect them in any way and their threats to bring this or that person is entirely up to them and who they feel best represents them as a party. Mr. Kabwita noted with regret that the PF have issued many statements to undermine and sabotage the forth coming Dialogue meeting saying the public has now seen their colours and full intentions over the dialogue. He said their excuses to try and find anything up their sleeves to stay away from the meeting are ridiculous and totally insane and should not be entertained by all well meaning Zambians. “We shall be at the Dialogue launch and all subsequent meetings and any attempt to disturb the meetings will not be tolerated. As NDC, we would also like to thank the Church, various political parties, individuals and churches who have spoken up on this matter and the attempt to undermine the whole process by the enemies of peace and development”, he added. Mr. Kabwita said all political parties should put their political differences aside and seek a peaceful and progressive solution for Zambia than allowing pettiness and insanity take over the discussions before even the process begins. Comment: I wonder the kind of dialogue this is were everyone is not even ready to forgive. these are same situations you find people manhandle each other for failure to dialogue. I wish it won’t be the case. chief Mpezeni and chief Mukuni should also attend. President Lungu shouldn’t attend. There is nothing to talk about. These so called opposition leaders have personal vendettas and hatred for president Lungu and are childish. I also appoint harry kalaba to represent PF. Christians for Lungu cannot counsel the president and tell him the importance of forgiviness. 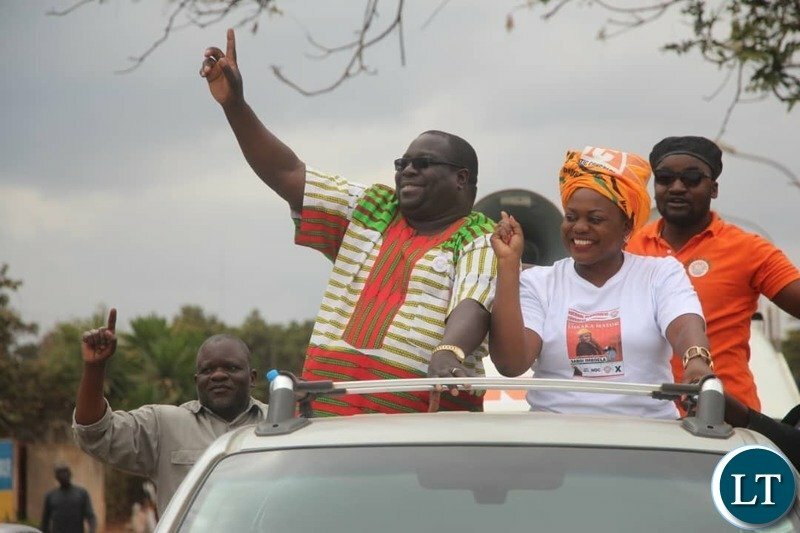 Contineous attacks on Kambwili from the PF camp casts a dark cloud on their christian claim that manifest in the fruits of the very opposite of Christ’s love. Why should dialogue come with conditions from little people within the PF such as Antonio Mwanza, Raphael Nakachinda, jobless Sunday Chanda and other minions? If PF wants let them nominate Kambwili and tell Davies Mwila to stay home. Kambwili should resign from PF if he is man enough, he can not save 2 masters. What do you mean 2 masters? So iwe you abandoned your parents and only attend to your in-laws funerals? Kambwili can represent his wife’s family as consultant, then his Cousin Edgar can represent Kambwili’s chaotic Panga Family. Ba NDC stop throwing spanners in the engine. You have nothing to do at this meeting so just stay out! This so called dialogue is just a sham and should not take place. The PF should not send any representative. They should insteady allow opposition political parties dialogue amongst themselves. In the absence of a clear agenda and the rantings of thugs that want to forcibly go into the meeting, it is not worthy subjecting the head of state to such low calibre & thuggish gathering. In Kenya Raila Odinga conceded first. He put himself in his place first. That’s how the president also humbled himself and embraced his brother. In Zambia the loser has refused to accept defeat and disparages the president daily. That’s the reason Kenya has moved forward and Zambia is still stuck in 2016!! The clowns of Zambian opposition!! CK used the courts to block his expulsion from PF and thus remains a PF mp. How can he represent NDC as a consultant??? Pure s.t.up1.dity!!! That’s why we are headed for a single party dominated parliament because the opposition is just downright useless!!! Lungu must stay away from this nonsense called dialogue. Let PF also choose a consultant to represent them. Let PF tell the church and ZCID that they will have their representative Kambili and Kalaba if they wish to attend full stop. There is no seriousness in this whole dialogue thing. Kambili to attend and he represents PF that simple and straightforward. You people are confusing us and wasting our time. Isn’t the real issue between HH/UPND and ECL/PF following the last General Elections? Why do we now hear every Jim and Jack is going to be part of the dialogue? You are complicating the matter and making it difficult for the actual parties to climb down and resolve their respective concerns. The confusion arises from not having an agreed clearly defined objective for the dialogue. ZCID believes it is an inter-party dialogue whereas the Church believe it is a national dialogue (all stakeholders and not just political parties) . This is the source of the confusion. The PF, it appears, takes the the thinking of ZCID and NDC that of the Church! One reason why Zambia is in a mess is that emotions have prevailed over logic. Just because Kambwili can shout that the president is this or that, Kambwili becomes an instant “hero”. We don’t care what repercussions the nation may face in future by supporting such buffoons. In addition to lack of logic, we are also lacking integrity. ..such as why has Kambwili joined or formed an opposition party but resisting his expulsion from the PF. This a fundamental question which a person with all his faculties intact. …but then this quality is lacking in many of us. It’s ukwalola umwela syndrome. Actually I agree with those suggesting that PF can send anyone of its members to this charade instead of wasting the president’s time. I propose my sister Mumbi Phiri so that she and Kambwili can literally undress each other. That’s the only way to go. Walasa!!!! These people are not taking this dialogue serious, so why should PF send the whole president to this circus?